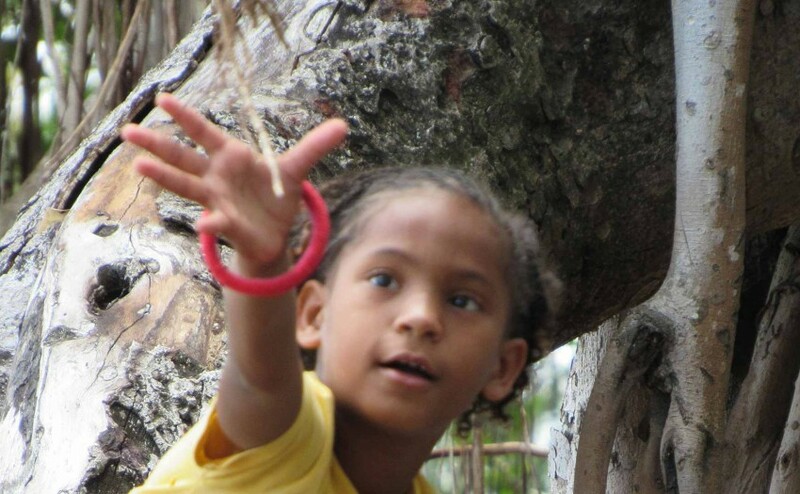 What are the things to do for children in Mauritius? We found out that many people with children find it difficult to find out what things there are to do for families. In our opinion there could be done more for children, however there are still enough things to do for children during your holiday. 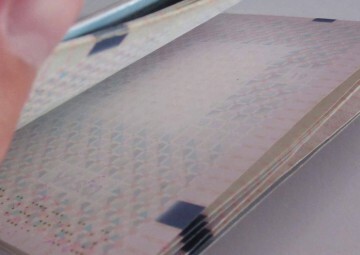 In this blog we made our top list. With the opportunity to touch, feed and ride a turtle La Vanilla park is a must visit for your kids when you are in Mauritius. Besides the turtles there is a farm where the kids can feed goats and pigs and there are also monkeys and big crocodiles. The price to enter La Vanille park is really affordable. For children it’s 235 Rs during the week and 125 Rs in the weekends. Click here to read more about La Vanille Park. La Vanille park’s big brother is Casela. 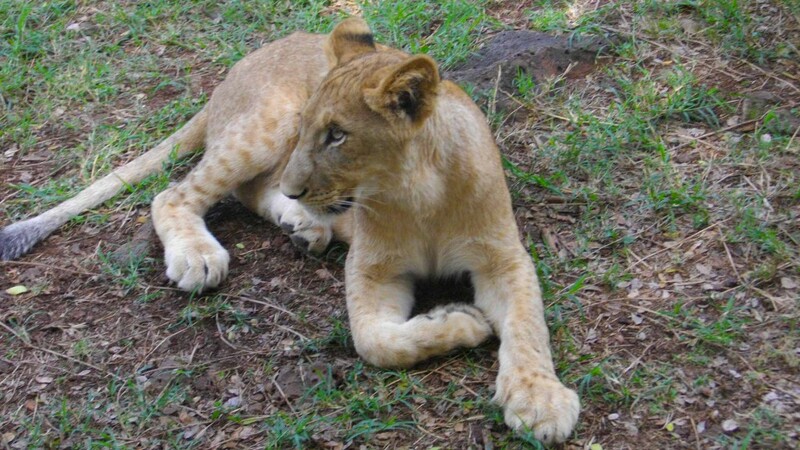 Here you will see more animals, the kids can ride camels and you can come very close to lions. In Casela you can also ride a segway and have a zip line adventure. 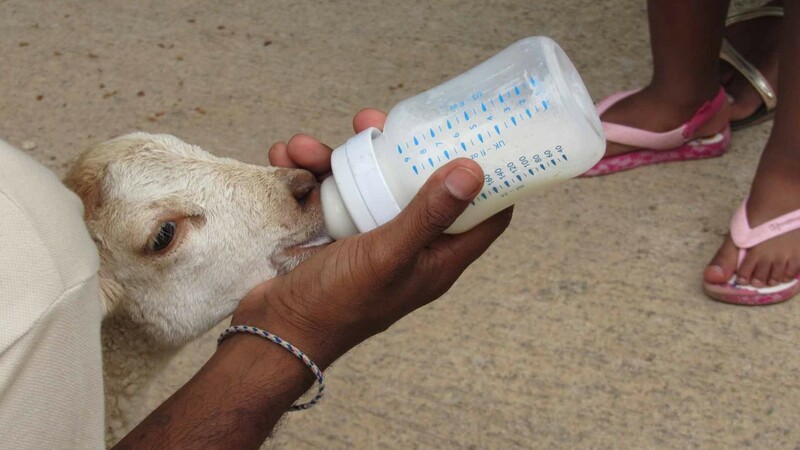 There is also a farm and playground for the children. The prices are higher. The entrance fee for children is 475 Rs. On top of that you have to pay separately for all the activities. You can see more info on the website of Casela. 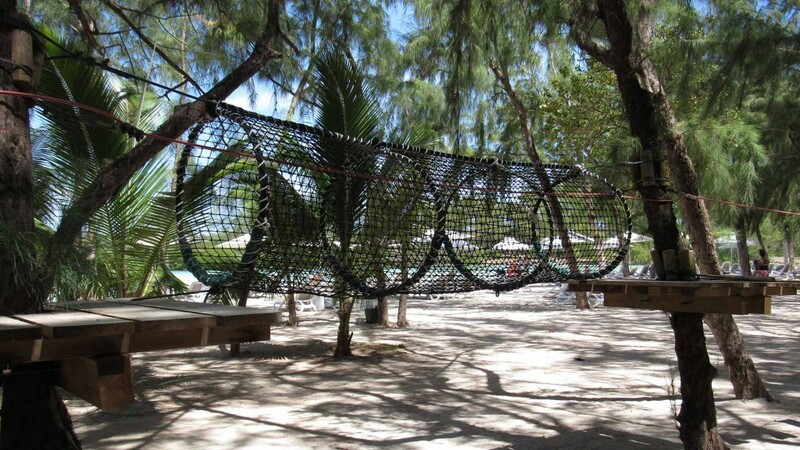 The biggest zipline track in Mauritius is at Chazal. 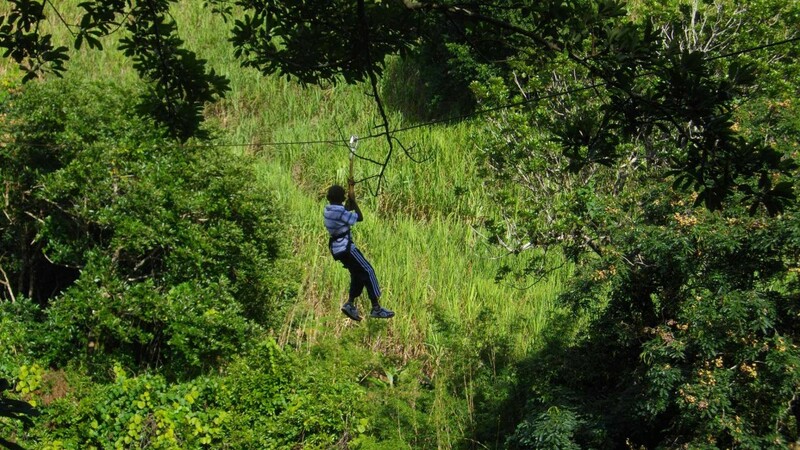 The park has 6 zip line opportunities and is available for children from the age of 4. At the end you will reach a waterfall. Here you can swim and jump of the waterfall, so don’t forget to bring the swimming clothes. 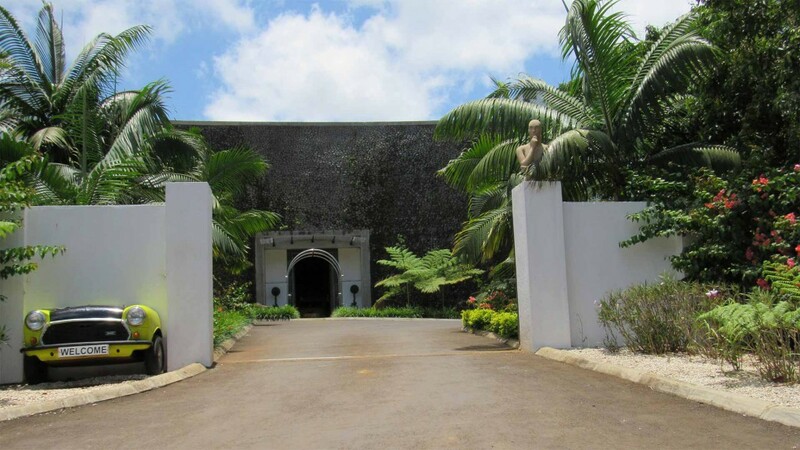 Chazal can be found in the south of Mauritius and prices start from 1.350 Rs. Visit the website of Chazal for more information. Ile aux Cerfs already is a must visit when you are in Mauritius because of it’s beauty. Recently there is an adventure park on the island as well. Under guidance children have to climb from tree to tree in a set up course. Parents that want to enjoy some activity as well on Ile aux Cerfs can go parasailing. Click here to read more about Ile aux Cerfs. This activity is a quite unique one as there not many similar places on earth to do this. 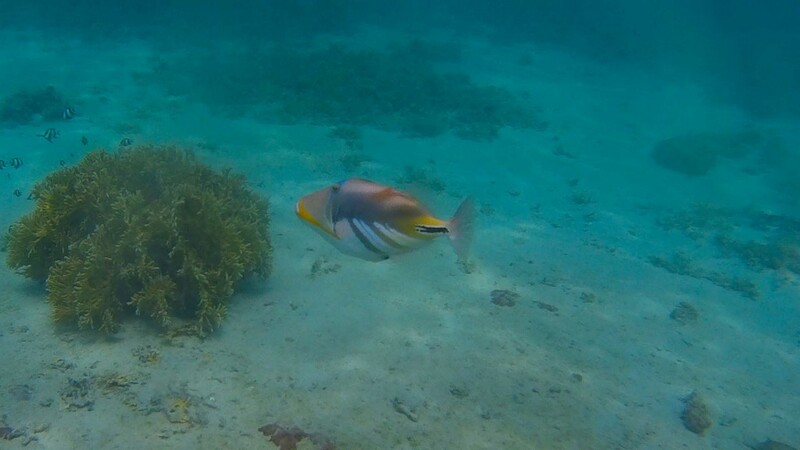 In the north the sea in Grand Baie is rich of tropical fish. Where the water is not really deep they created an underwater park. You will walk like an astronaut through the fish and coral. Even people that do not know how to swim can do this tour. Sometimes you can spot sea turtles here as well. Visit the website of Solar undersea walk for more information. 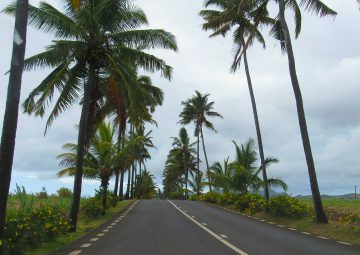 Speedomax is the only kart court in Mauritius and can be easily reached from Flic en Flac. The court is big and absolutely a lot of fun for the young adrenaline lovers. A cool feature is that your runs will be recorded and placed on their website. 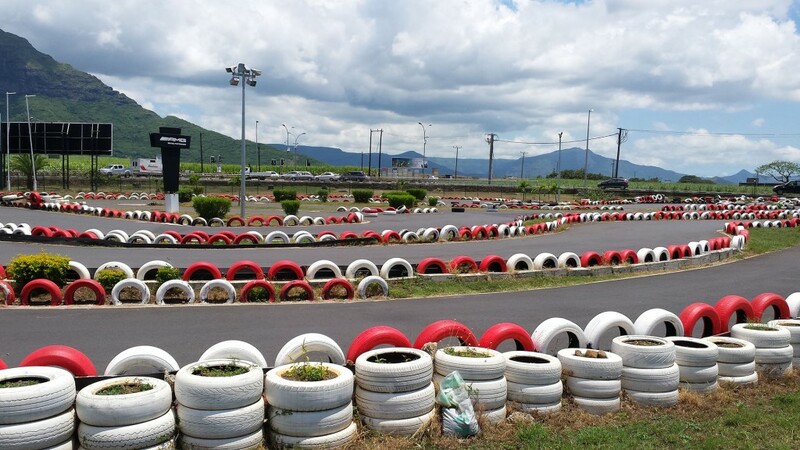 Speedomax offers packages that includes eating and karting or family packages. Click here to read more about the kart court. Chamarel is mainly known for it’s beautiful viewpoints, Seven Coloured Earth and the Chamarel waterfall. In Chamarel, situated in front of the Seven Coloured Earth you can also find the Curious Corner Of Chamarel. This place plays games with your mind by taking thing out of perspective and is especially a lot of fun for the kids. You can combine the Curious Corner perfectly with a visit to the other attractions. Visit the website of the Curious Corner for more information. Every morning a group of dolphins swim near the coasts of Mauritius near Blue Bay and Tamarin. By doing a tour to Ile aux Benitiers you will first search for the dolphins. It is possible to jump in the water and swim with them, although I do not recommend to do that with children. You are on open sea and it’s quite difficult to follow the dolphins, which are fast. However, seeing them swim is a joy for both young and old. Click here to read more about the dolphin swim. All around Mauritius there are a lot of lagoons. Therefore, the sea is very calm near the beach. At Tamarin there is a bay where there is no lagoon. The waves get a change to come through and reach very close to the beach. The public beach here is very popular amongst surfers and people with body boards. If you want to go body boarding here you will have to bring your own body board. This is not an activity for young children though as the sea is quite rough.